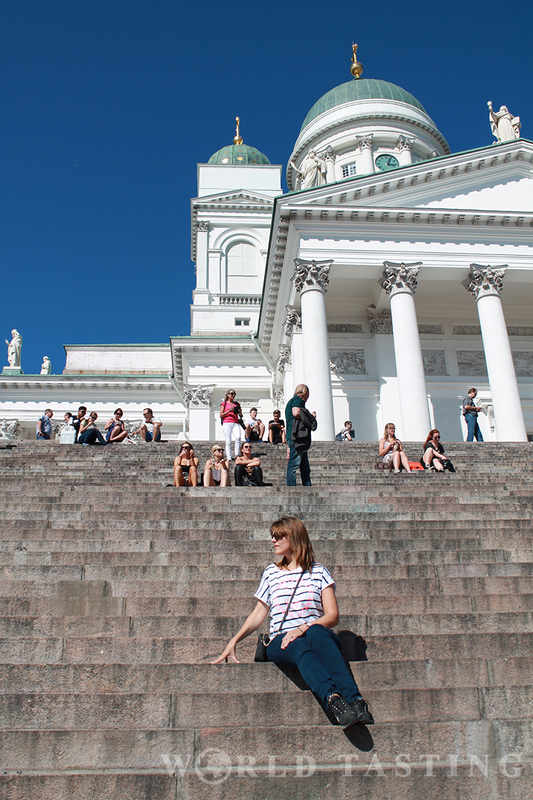 Every time I travel to Helsinki I feel as if I travel to ‘the city of cathedrals’. 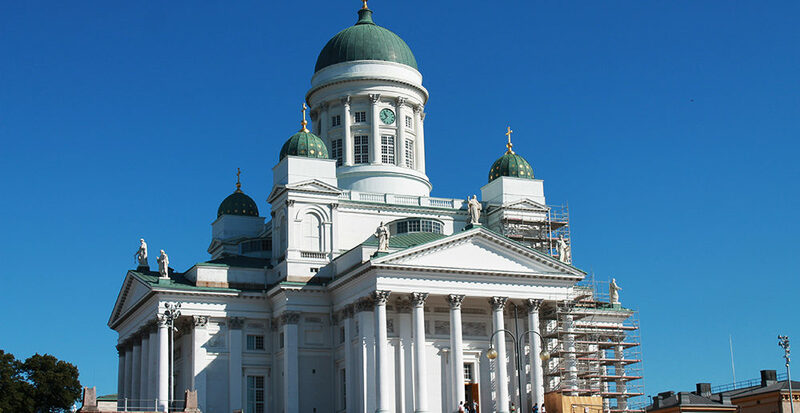 Three beautiful cathedrals define the three central areas of Helsinki: the Lutheran cathedral in central Helsinki, the unique Church in the Rock and the Orthodox Uspenski Cathedral. 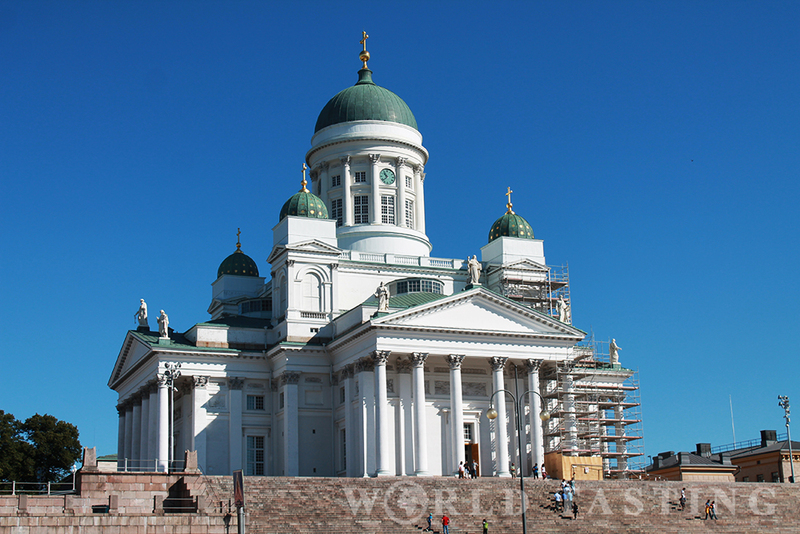 The Helsinki Cathedral is located right in the city center and has become a landmark for the Helsinki cityscape. 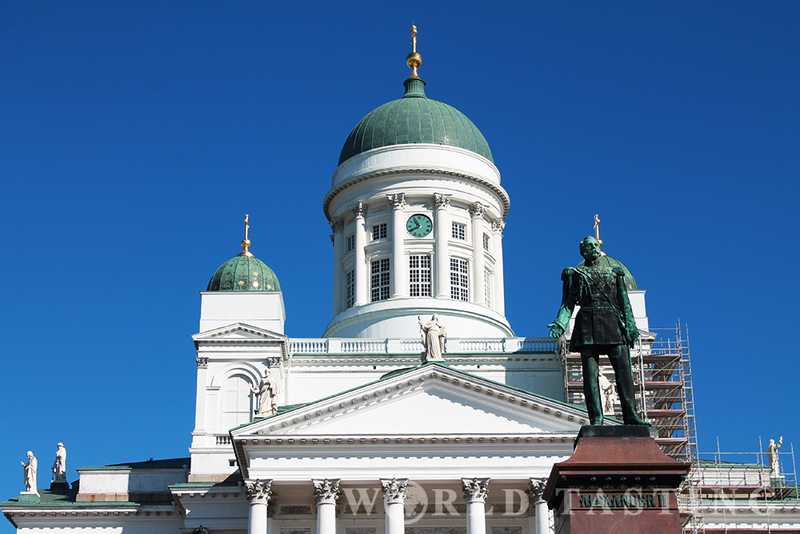 The cathedral was built between 1830-1852 as a tribute to the Grand Duke of Finland, Tsar Nicholas I of Russia, and was also known as the St Nicholas’ Church until the independence of Finland in 1917. The cathedral prides with white-washed facade and green domes on the outside, and a very minimalist decor on the inside. 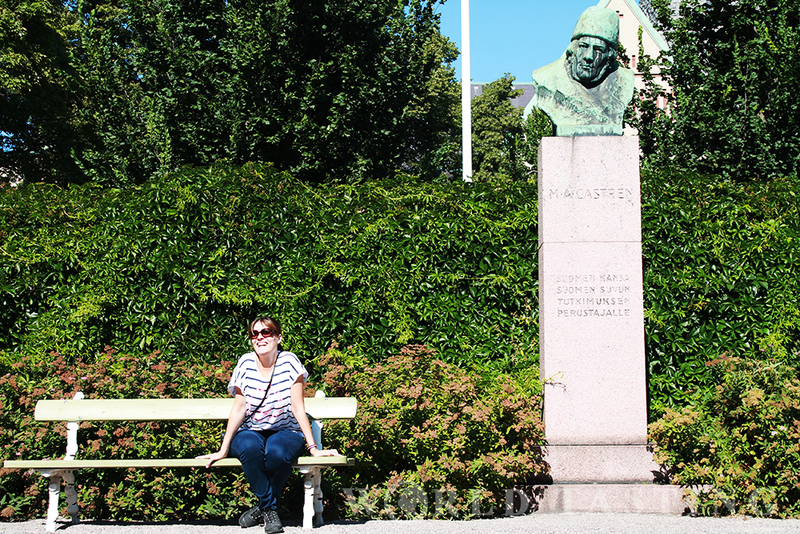 The stairs in front of the cathedral have become a favorite meeting point for locals and tourists alike. 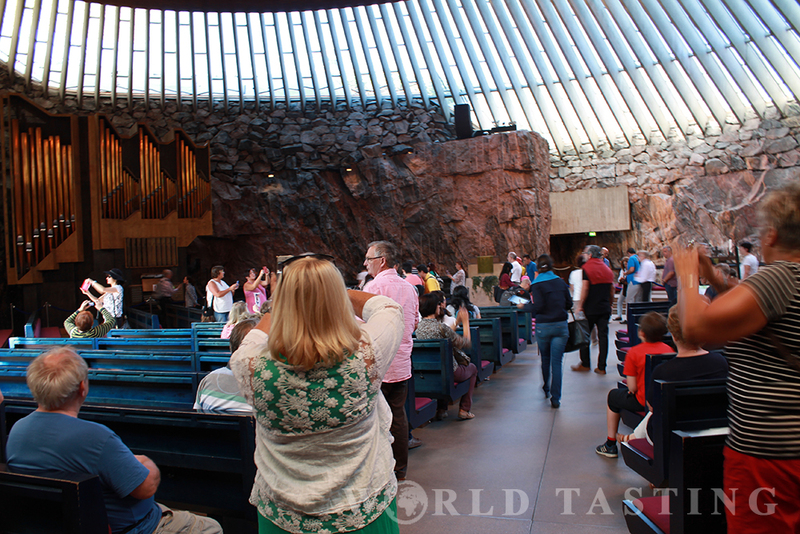 Next is the Temppeliaukio church, or better known as the ‘Rock church’. Just as the name suggests, the church is built into a solid rock. From the outside it is nothing special. In fact, if you don’t know it is there, you may as well just pass by it without noticing. But don’t let this first impression fool you. 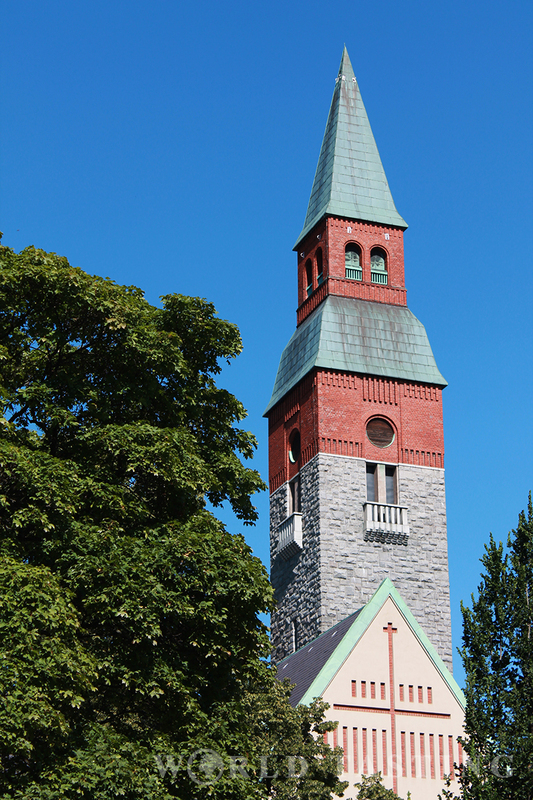 Designed by two finish architects, the brothers Suomalainen, the church opened doors in 1969. It is known for its unique acoustic properties. Often there is a live piano performance during day time, but even if there is no pianist on the day of your visit, a record would definitely be playing in the background to demonstrate the properties of the church. 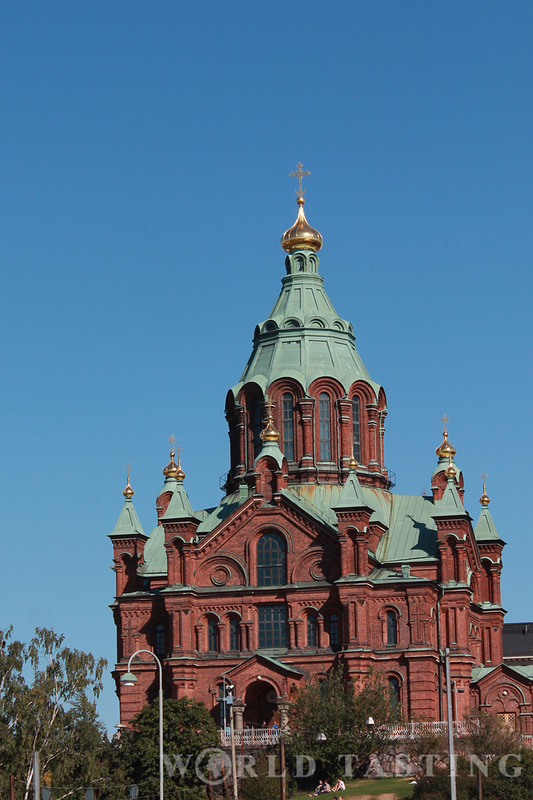 And finally, the Uspenski Cathedral. This gorgeous brick beauty was built between 1862–1868 and is the largest Eastern Orthodox church in the Western Europe. 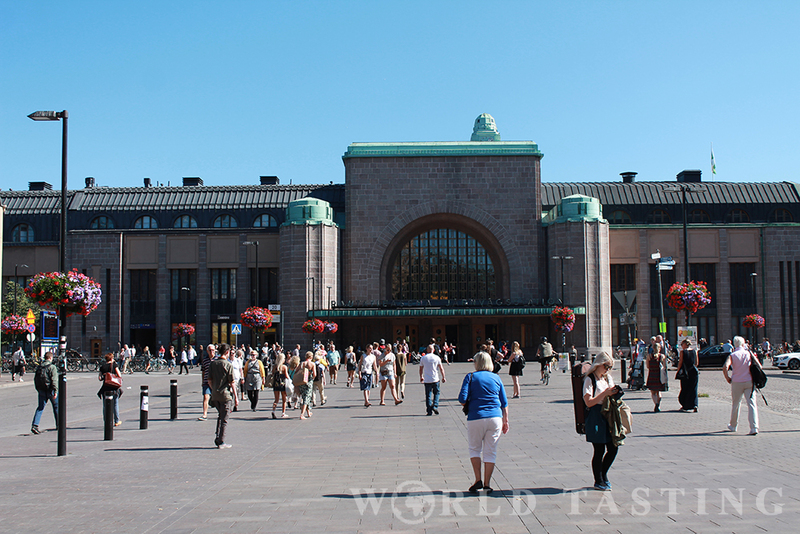 But Helsinki has a lot more to offer. Walking down Aleksander street is like walking in an architecture museum. 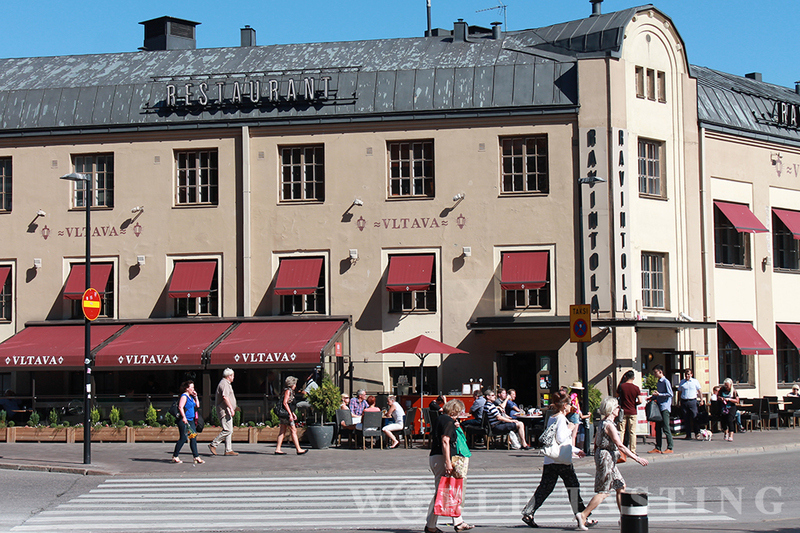 At the end of Aleksander street is Stockmann, a premium shopping mall. 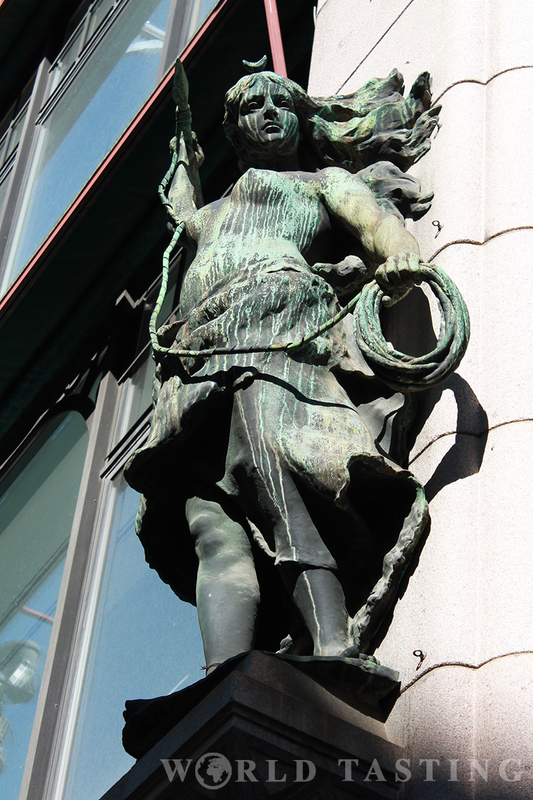 However, I would suggest that you skip Stockmann and instead check out Harald which is right across the street. Harald is a truly viking-inspired restaurant where the waiting personnel wears long gowns, and there are trophy moose heads decorating the walls. 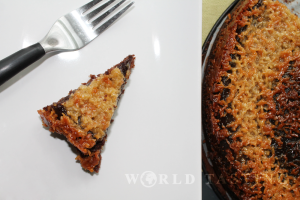 The food is hearty and tasty, and the authentic atmosphere adds a pinch of unique flavors to every dish. 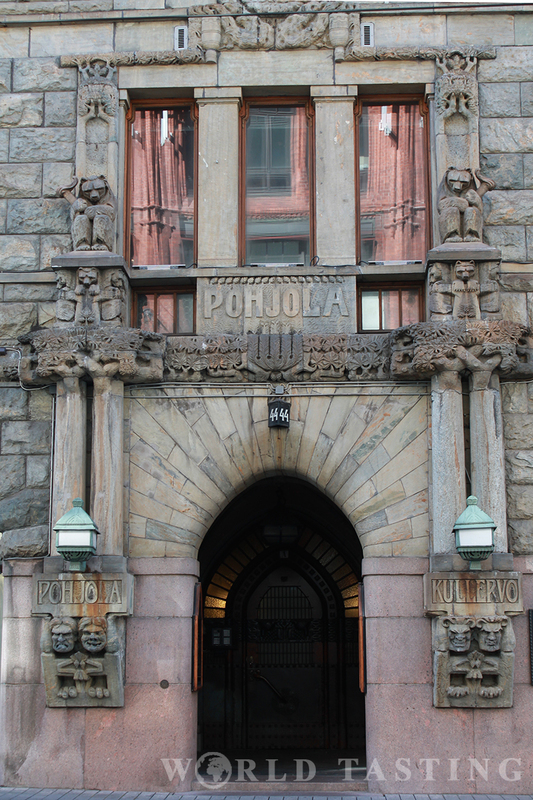 For those of you curious to know more about the Finnish culture and history, be sure to visit the National Museum of Finland. 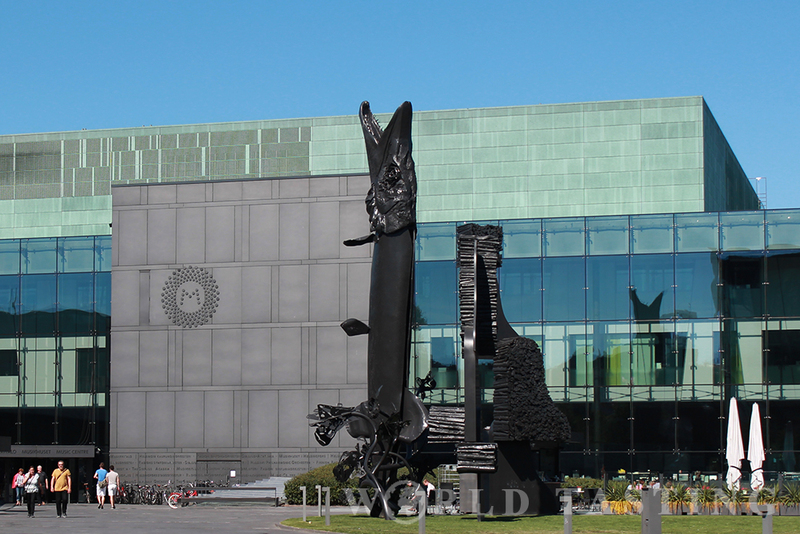 On the same block you will also find the Helsinki Music Center, home to Sibelius Academy and two symphony orchestras, the Finnish Radio Symphony Orchestra and the Helsinki Philharmonic Orchestra, the Parliament and the Museum of Contemporary Art Kaisma. 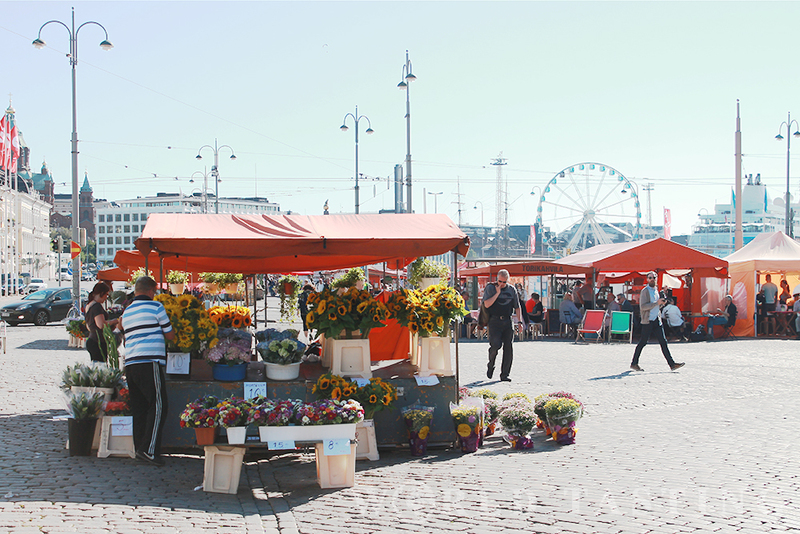 Before you leave, be sure to check out the daily open market by the port. 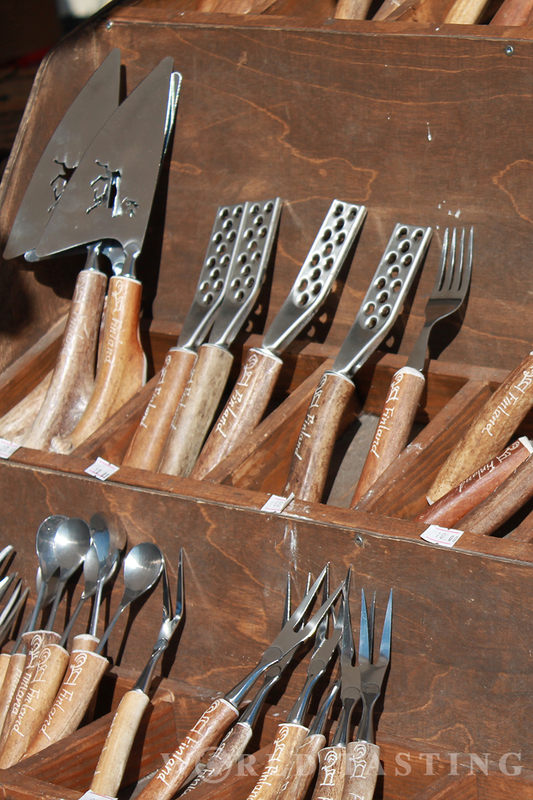 It is a great place to buy some authentic hand-made souvenirs from local producers. Here’s a map of all the places mentioned in this blog post. 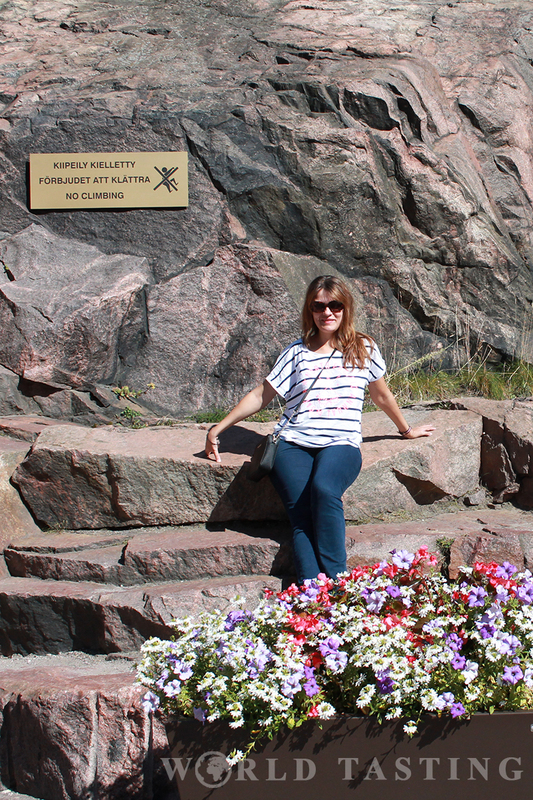 Now you can take my Helsinki itinerary on your Google Maps and follow my steps. In case you have any further questions, drop a line in the comments section below, and I will try to come back to you as soon as possible.